This dogwood bangle bracelet features my watercolor painting of bright pink flowers. The expandable bangle bracelet is silver-plated brass and will fit wrists from 7 to 9 inches. 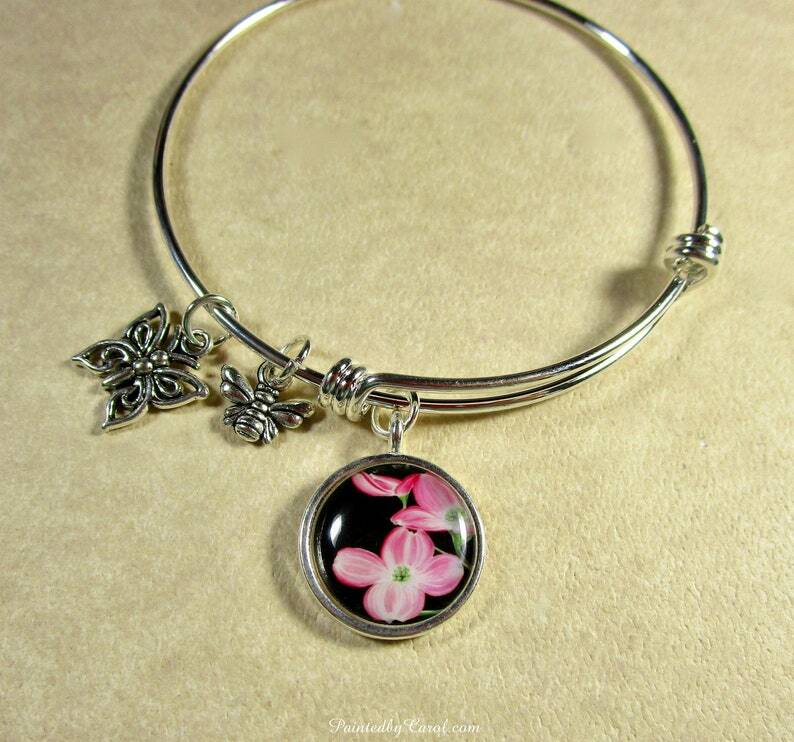 The dogwood charm features a 16mm cabochon of my painting. The silver-tone metal bee and butterfly bone charms are nickel-free zinc alloy.